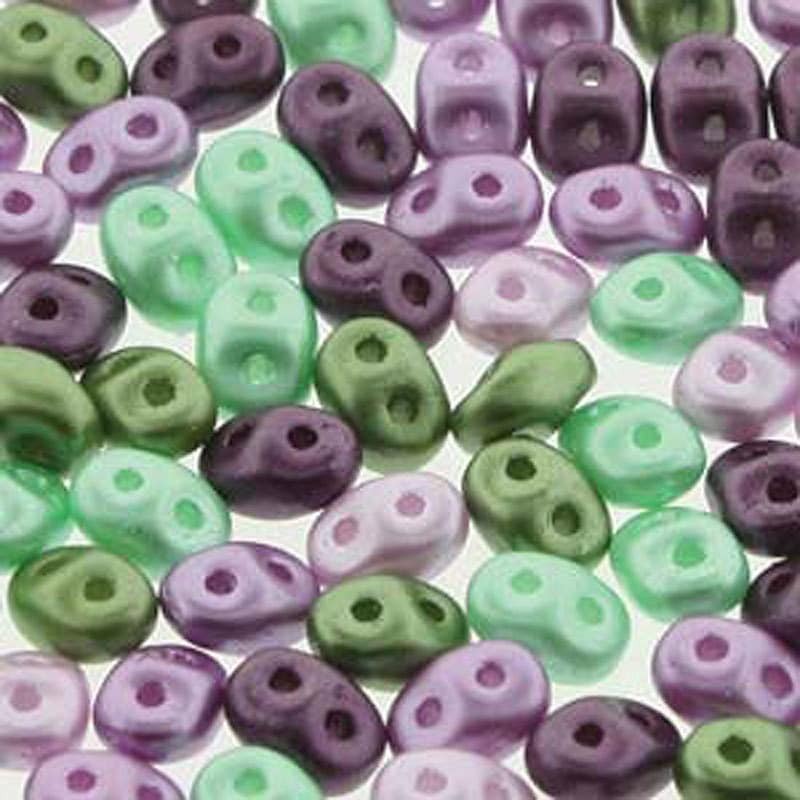 2.5x5mm Spring Violet mix of two hole Czech pressed glass super duo seed beads. Colors in this mix include Purple, Lavender, Mint Green and Olive Green. Great Super Duo Mix - Fast Shipping!